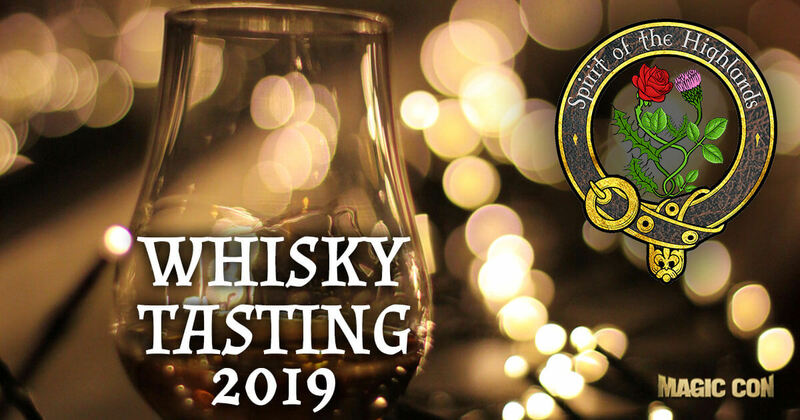 Spirit of the Highlands, a small whisk(e)y specialist from Münster, offers the opportunity to take part in a Whisky Tasting (April 26 and April 27) at MagicCon. In addition, the fine spirits can also be tasted and purchased at the stand on site. For some years now, Stephanie “Rose” and Dominik Wagner have been dealing with the water of life, still learning about it themselves and looking forward to meeting many great people. At their tasting stand they offer more than one hundred open whiskies and liqueurs, all of which can be tasted in the glass on site (or as a small bottle for testing at home). Lovers of Scottish national drink will also have a few bottlings on sale. Of course, special requests are always welcome. There is also the possibility to inquire in advance whether the two whisky connoisseurs can offer something special for you. The Whisky Tasting “Journey through Scotland” tastes the diversity of Scotland’s nature. A total of five whiskies from the Lowlands, Highlands, Speyside, Islands and Islay regions are offered. Each region has its typical character. Everything is represented, from fruity to smoky. The participation fee includes the tasting of the five whiskies mentioned above. The registration confirms the minimum age of 18 years.